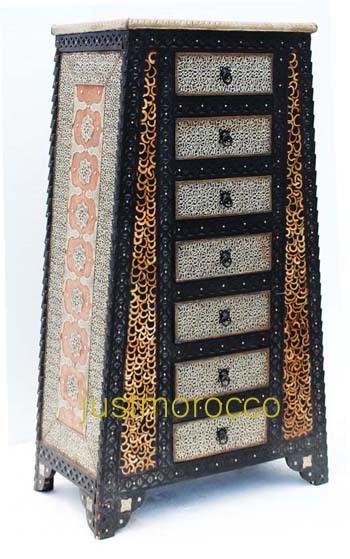 New arrival A unique embellished silver cabinet with camel bone accents, all handmade in Morocco. This cabinet comes with a storage space with 7 drawers in the middle, camel bone accents & silver hand tooled pieces decorated on each side. Great workmanship, great add to any home decor, unique and awesome piece. A piece that you can't find in any other store.